Published: April 18, 2015 at 11:10 a.m. 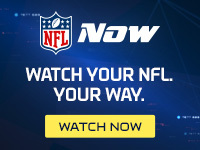 Updated: April 18, 2015 at 02:33 p.m.
After seeing a fleet of inside linebackers waltz out the door, the San Francisco 49ers are aiming to lock down one of their remaining defenders for the long haul. General manager Trent Baalke told reporters on Friday that the team is negotiating a contract extension for inside 'backer Michael Wilhoite. "We're working on something with him as we speak," Baalke said, per the San Francisco Chronicle, explaining why Wilhoite has yet to sign his exclusive-rights free-agent tender from the team. The fifth-year undrafted defender came into last season with just two pro starts before emerging as a 16-game starter in place of the injured NaVorro Bowman. Ranking second on the team in tackles (87), Wilhoite was dangled as trade bait earlier in the offseason, but the sudden retirements of Patrick Willis and Chris Borland put those talks to bed. The Niners would be wise to see what they have in Wilhoite before spending too much money, but Baalke appears sold after saying at the NFL Scouting Combine that the linebacker "proved he has starter-caliber ability." Whether or not Wilhoite lives up to the billing, this position remains a critical draft need for San Francisco.